Hypothesis – a proposed scientific explanation. This statement is testable and can be confirmed with experimentation or further observation. The frequency of cricket chirps will change as the temperature changes. As the temperature decreases, a cricket will chirp fewer times. 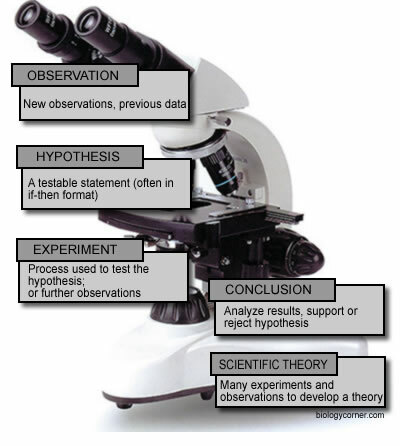 Either hypothesis will work, the important thing is that you can -test- the hypothesis by doing an experiment which will confirm or deny the statement. To set up the experiment, you go out to your yard and capture a few crickets. You bring them inside and place them in a container. But wait, if you have a bunch of crickets together, what if they chirp based on how many crickets there are nearby. 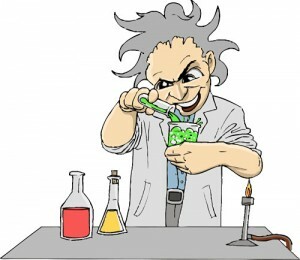 The goal in designing an experiment is to eliminate all the variables except the one you are testing. This means all your cricket subject must be housed in the same environment (same lighting, same food, same water..etc). Okay, so you get that set up and take the temperature of your room. Now you must wait for the crickets to start chirping. You count how many times the cricket chirps for a 5 minute period. Now you have to compare that number with the chirps that occur at different temperatures. You may use a heating pad, or ice or any other way to lower or raise their temperature. You would then take data for 5 minutes at the new temperature. In your experiment, the MANIPULATED VARIABLE is the thing you changed – the temperature. The RESPONDING VARIABLE is what you are measuring that happens as a result of that change – the number of chirps. The CONTROL GROUP isn’t obvious in this case – but you can consider your original (room temperature) data as your control, and the other temperatures your experimental data. After you have taken data, you can then draw a conclusion about whether your hypothesis is accepted (correct) or denied (incorrect).